SIG is pleased to announce that the African Mathematics Millennium Science Initiative (AMMSI) has been designated a RISE Affiliate Network. Established in 2004 by the Science Initiative Group in partnership with TWAS and the African Academy of Sciences, AMMSI is a distributed network of mathematics research, training and promotion throughout Africa, with six regional offices from Rabat in the north to Gaborone in the south. 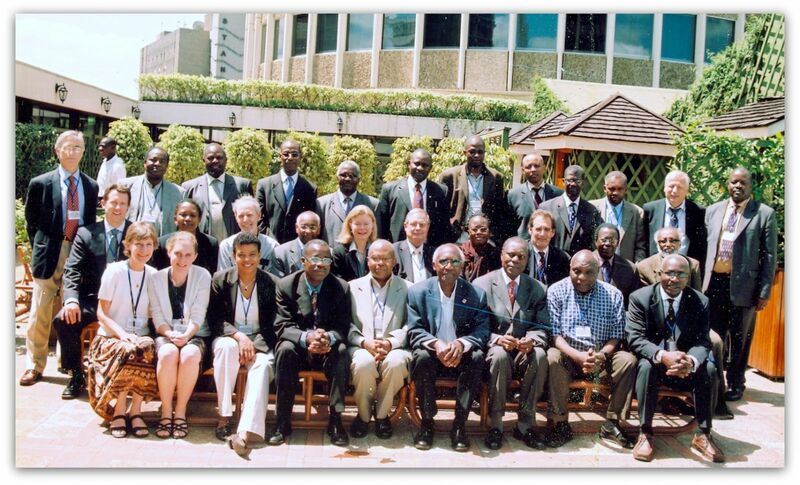 The AMMSI Program Director is Professor Wandera Ogana of the University of Nairobi. Developing and emerging countries should more closely link up education and technology policies to produce the technical skills needed to boost their economies and "close the income gap with advanced countries", according to a report by the OECD (Organisation for Economic Co-operation and Development). The report, Perspectives on Global Development 2014 launched this month in Paris, France, highlights a mismatch between the skills that the economies of developing and emerging countries need and training being offered to people. For instance, it says that in a number of African countries industrial labour costs are high relative to workers’ productivity because of a shortage of trained engineers. Unless labour productivity is increased, many developing and emerging countries will not be able to close the income gap with advanced economies for many decades, the report warns. The ‘how’ might be contested but there’s agreement on one thing: universities need reform to help drive development. Higher education is increasingly important to Africa’s drive fordevelopment and knowledge-based economies. Having more PhD holdersin research and teaching is widely seen as key to producing the intellectual power for this drive. But it’s an uphill battle. After decades of donors and governments focusing investments on primary and secondary education, under-resourced universities struggle to keep researchers from seeking greener pastures abroad. Our Spotlight — part of a broader collaboration with the Carnegie Corporation of New York — throws some light on why producing more African academics is difficult and explores current thinking on how to make higher education work in Sub-Saharan Africa. The emphasis of this collection is on training with practical applications for development and employment — but this is not to underestimate the role of theoretical or other forms of knowledge, including basic research and the humanities. Irene Friesenhahn rounds up sources of online information, highlighting key initiatives on Africa’s higher education. Several organisations address higher education in Africa through their work. The Carnegie Corporation of New York and UN agencies including UNESCO and the World Bank provide great online resources.